Image Credits: The Russian Presidential Press and Information Office / Wikimedia Commons. After what many are describing as Trump’s attempted channeling of Reagan’s ‘Star Wars’ program with Thursday’s unveiling of a missile defense strategy heavily focused on space as “the next war-fighting domain”, Moscow has issued a predictably harsh rebuke, calling the newly published US Missile Defense Review (MDR) “openly confrontational” and a danger to global stability and peace. 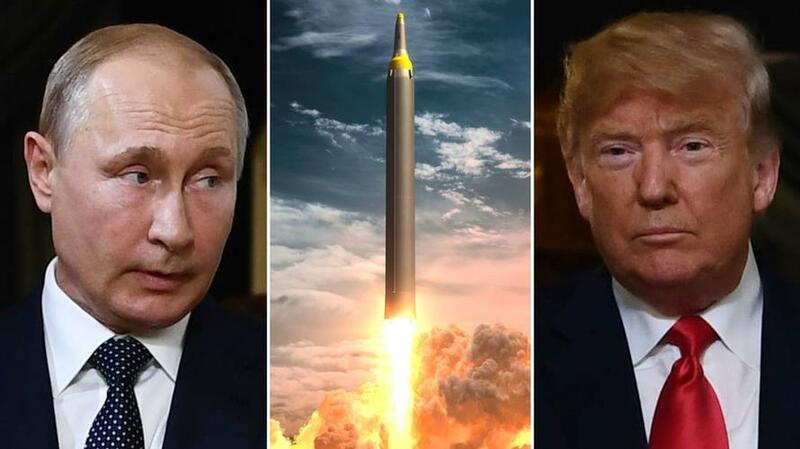 In response, the Russian Foreign Ministry announced, “We would like to note that the very same logic served as the foundation of the widespread nuclear missile race that brought the world to the brink of disaster multiple times.” The statement added that US defense planners “apparently decided to step on the same rake, with predictable consequences,” in reference to 20th century nuclear brinkmanship. My upcoming budget will invest in a space-based missile defense layer. It’s new technology. It’s ultimately going to be a very, very big part of our defense and obviously of our offence. We will ensure that enemy missiles find no sanctuary on Earth or in the skies above. This is the direction that I’m heading. But Moscow fired back that the plan “practically gives the green light to deploying elements with strike capability in space,” which will “inevitably lead to an arms race in space, which would have the worst kind of consequences for international security and stability,” according to the Foreign Ministry statement. As rogue state missile arsenals develop, space will play a particularly important role in support of missile defense. Russia and China are developing advanced cruise missiles and hypersonic missile capabilities that can travel at exceptional speeds with unpredictable flight paths that challenge existing defensive systems. The exploitation of space provides a missile defense posture that is more effective, resilient and adaptable to known and unanticipated threats… DoD will undertake a new and near-term examination of the concepts and technology for space-based defenses to assess the technological and operational potential of space-basing in the evolving security environment. It will be interesting to see the extent to which the Kremlin responds with a “gloves off” approach, as it has increasingly and very publicly hyped its own advanced weapons programs over the past year while talk of finally abandoning the INF comes out of Washington, and as Trump urges greater defense spending among European NATO allies. Meanwhile one former high level Russian defense official has told RT “militarization of space is inevitable” — perhaps signalling that Moscow is ready and willing to answer Trump’s call (above its own skies) to protect the homeland “anywhere, anytime, anyplace”.